The Business Development & Real Estate Department handles activities in respect of the Company’s functions related to product development and real estate investments. The Business Development Department endeavors to structure innovative and varied investment portfolios and investment funds which suit customer needs and compliant with Islamic Sharia principles. We have established strong relationships with regional and international investment institutions through which we seeks to cooperate and capitalize on the diverse expertise to serve our clients. We aim offer a line of mutual funds with a variety of investment objectives, including long-term growth, current income, capital preservation or a combination of these objectives. Through our strategic alliances and partnerships with regional and international professionals and investment banks, we aim to offer investors with investment instruments with attractive returns. At FIC one of our important stated goals is to assist our clients to invest in suitable investment opportunities across the GCC region. 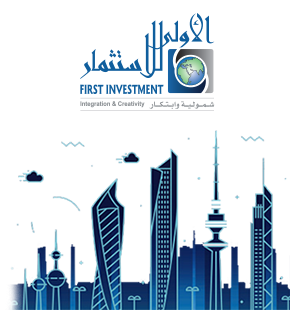 FIC has been very active in the Saudi Arabian and Omani Real Estate sector since year 2005 and have a very active relationship base and deal flow for real estate investments. FIC provides an ideal gateway for clients to Saudi Arabian and Omani Real Estate investments with a one stop trusted investment advisor who can arrange for identification, evaluation asset management and administration of Real Estate investments. Our services cover portfolio management through sourcing, structuring and executing transactions in addition to undertaking asset management services post investment and execution of exit strategy.